George Washington was the senior officer of the colonial forces during the first stages of the French and Indian War, the commander in chief of the Continental Army during the American Revolution, the man who presided over the Constitutional Convention that drafted the United States Constitution, and the first president of what became the United States of America; is it any wonder we look to this brave and forward-thinking man for inspiration on how to live with courage and honor? 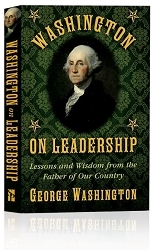 Including letters to friends and foes during the French and Indian War and the American Revolution, orders and instructions to the troops, and speeches he gave during his life, collected here are essays and advice by George Washington on living a courageous life. George Washington (February 22, 1732–December 14, 1799) was the dominant military and political leader of the new United States of America from 1775 to 1799.